Mountain biking is hard enough on bike parts and your wallet at the best of times. If riding year round, in our usually damp winter, then there are a few parts that usually get it a bit tougher and some preventative maintenance can definitely help get you out the other side. Most mountain bikes now have disc brakes. These allow much better braking in all conditions but there are a few changes you can make to tailor them to winter. Most brakes come with an organic brake pad, which tend to be a bit softer and offer more instantaneous bite which can help ward off pad glazing in dry conditions. They do however wear quicker and this is especially noticeable in muddy conditions. The answer is a sintered pad, which contain small particles of metal that offer a much longer pad life as well as offering more consistent braking in wet and muddy conditions. Chains being worn past the point where they should be changed account for more expensive repair bills than anything else here at Mech Monkey. 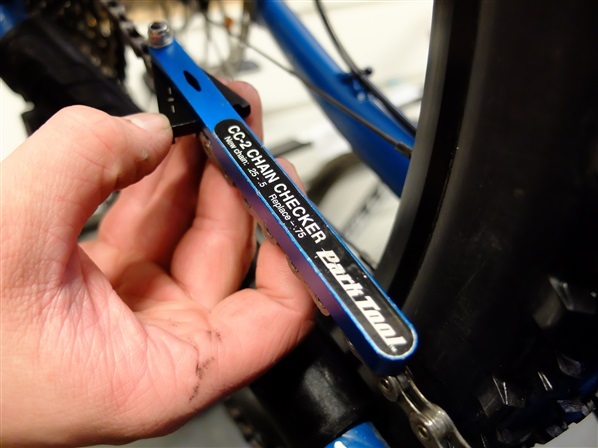 A chain will wear and stretch, and this is measured over a percentage of the chains length and with a chain checker that many bicycle tool companies offer for sale. The problem with continuing to run a worn chain is that the cassette, chainrings and even the jockey wheels on the rear derailleur all wear to the profile of the excessively stretched chain. This means when you eventually fit a new chain the old worn cogs don't want to mesh causing the chain to skip under power. Keeping a chain free from dirt and excess oil will help prolong your chains life. 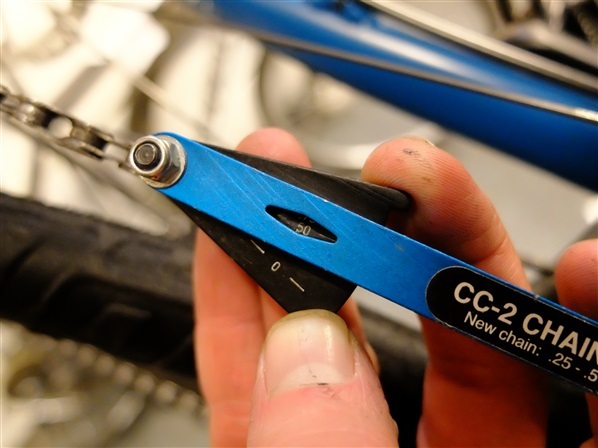 Checking your chain wear regularly and replacing at the recommended point (0.75%) will definitely save you money in the long run, getting perhaps 4 or 5 chains on one cassette rather than getting slightly longer out of a chain only to have to replace most of the drivetrain. Bikes have a lot of bearings in them and even though these days they are mostly sealed cartridge bearings you can still go some way to help them last a bit longer. A good waterproof grease used on the surfaces that are facing the elements will act as a sacrificial layer when riding in harsh conditions or when being washed. 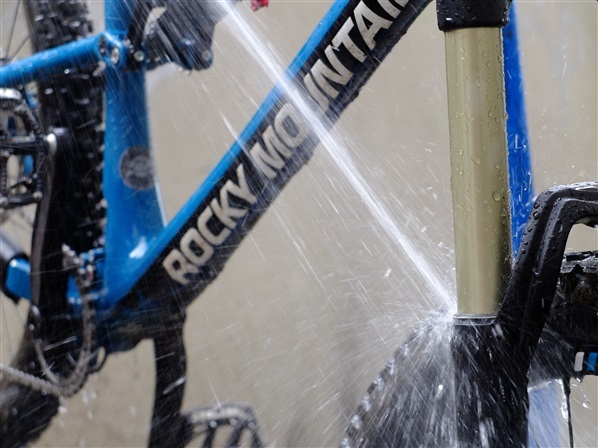 Although pressure washing is handy and quick and now available at most of the trail centres it is the main cause of bearing failure on bikes. The rubber seals can only keep out so much and the high pressure water will usually pass the seal, washing out any grease inside and allowing corrosion to start. If using a pressure washer try not to get up close to anywhere that has a bearing. Your suspension fork and rear shock are probably two of the most costly components of the bike and also work non stop during a ride. They are sealed but like the bearings they can’t possibly keep everything out. Regular suspension servicing will definitely prolong the life of the part and also being careful if washing with high pressure water around the seals so as to not wash out any grease. Dirt left in the seals can wear at your fork stanchions over time making a costly replacement the only solution. 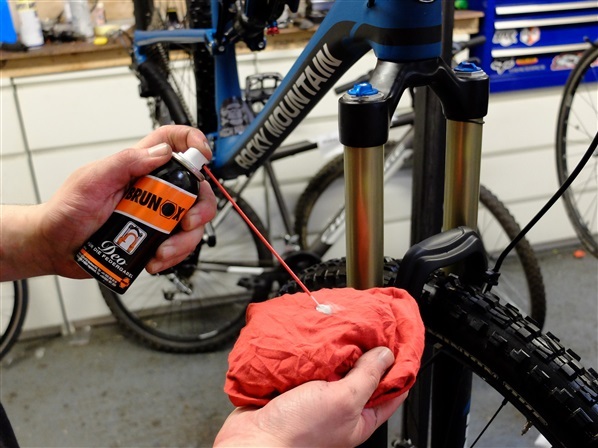 Some fork lubes are available such as Brunox Deo and Juice Lubes Fork Juice that can be applied to the stanchion of the fork to help keep the seals lubricated and stop them drying out and cracking between services. All and more available at Mech Monkey, Lisburn Road Belfast. 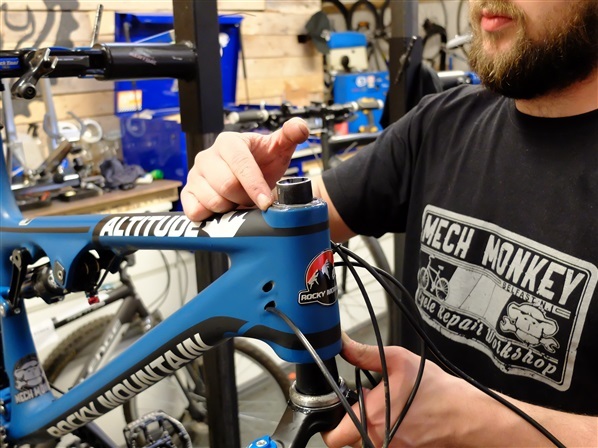 We are Mech Monkey, a rider owned cycle repair shop on the Lisburn Road. We’ve worked on bikes professionally for 10+ years, catering for Sunday warriors up to world cup pros. Here at OutdoorNI we believe learning something new is for everyone not just those heading back to school! Forget about tests and grades and get out into the great outdoors where a whole host of outdoor courses will stimulate your mind, enrich your life and see you have a lot of fun along the way. You don’t have to travel thousands of miles to have a go at one of the most popular activities in Hawaii. Stand up paddle boarding is a lot of fun especially when you have a chance to explore the harbour made famous for its appearance in the award winning HBO TV series Game of Thrones. Kitted out with a board and a paddle your instructor will soon have you confidently paddling in no time. A great opportunity to get out and explore the spectacular coastline and inland waterways of Northern Ireland. Learn new kayak/canoe skills during a one to one tailored session with an expert level 4 coach. This one's for the girls! An opportunity to push yourself physically and mentally on a mountain bike mixed with a chance to unwind and rebalance during some yoga sessions. Geared towards those who are at the beginning of their mountain biking journey. An experience you won't forget in a hurry, discover the underwater world of the iconic Causeway Coast during a three hour dive lesson. With September & October providing some of the best diving conditions now is the perfect time to dive right in to this adventure. This half day course is aimed at newcomers and is a great safe, fun and informative session. By the end of the course you should be able to paddle your kayak confidently in open water. Created just for you! whether you want to learn basic mountian bike skills, safety and hazard awareness or navigation and trail use, this course is action packed with full coaching and all essential equipment provided. No experience necessary this course is ideal for beginners or those who have tried Mountain Biking before including individuals, groups or clubs wishing to move to the next level. A 47 mile linear route, forming part of the Ulster Way, the Lecale Way in Co. Down extends from the heart of Downpatrick, taking in Strangford Lough and finishing in the seaside resort of Newcastle. Featuring stunning coastal walking, tower houses, castles and ancient monuments the route is full of fascinating stories as well as stunning coastal scenery. The first section of the Lecale Way is largely the pilgrim’s path to Struell Wells. Following the incline of Scotch Street in Downpatrick it is hard to imagine this was the main route to Ballyhornan. Just as you reach the top of the hill is a quiet, grassy entrance to a large open space. Beguiling as the vista is this was a place of public execution in the 1700s. The town’s gallows were known by the name of the three sisters as they were constructed of three posts. You have to wonder about the fear of the weary pilgrims beholding this sight. Before diverging off on the Ballysallagh Road make sure to take in Struell Wells. Legend has it this spring was created by Saint Patrick. It was famous throughout the medieval era and a place to visit on Midsummer when the wells would overflow. Make sure to look out for Saint Patrick’s chair on the hillside above. Coming over via Ballyalton toward Raholp you are following in the footsteps of Saint Patrick. However, the people long before him also left their mark. Around Lough Money you will find a large concentration of megaliths. This is the highest area of Lecale which makes it easy to relate why it was selected. Just before the clachan at Ballystokes is a carved stone with concentric rings. Atop Slieve-na-Griddle once stood a cromlech with outstanding views over Scrabo, the Isle of Man, and the Mournes. Heading just off the Lecale Way to the east at the head of Lough Money you can find near the roadside, in a field, Lough Money Cromlech and just a little further along the Carrownacaw Longstone. Of course in modern days the largest stone monument in the area is to be found on Slieve Patrick. Carved from Mourne granite in a quarry just outside of Castlewellan is the largest statue of Saint Patrick in the world. Look closer and you will discover that he is wearing a workman’s boot as well as a sandal in honour of the masons who carved him! Walking along the coastal path from Ballyhornan to Ardglass you can be totally unaware of the disaster that befell a ship one night in April 1797. This ship was carrying arms for the United Irishmen when it went down on the rocks of Sheepland. Of all the crew only the steersman survived as he huddled down between two sheep on that bleak snowy night. The locals who heard the disaster would not open their doors as they mistook the cries of the French crew for that of the banshee! Every day the Steersman walked the clifftop looking down upon the wreck site. It is said you can fish lobsters from one of the ship’s cannons. 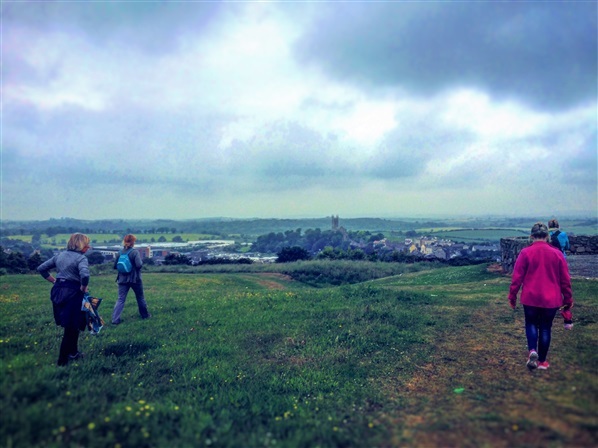 Continuing along the pathway toward Ardglass is Ardtole Church. Looking from the north east on a clear day the Mournes provide a spectacular backdrop. This church stood when the Vikings were plundering the coast. It was rebuilt in the 1300s but abandoned in the 1400s after a cruel massacre by the local chieftain one Christmas Eve. A row was ongoing between him and is people over the price of cattle. They found him drunk and tied his beard to the briars he lay in. Having to cut his beard off to become free meant that he lost his symbol of standing. To avenge the insult, he set out that fateful night. Visit WalkNI for route details for the Lecale Way and walk it yourself. If you found that as fascinating as we did book a tour with Lecale Peninsula Tours and relive the history on a walking tour with Duane in this beautiful landscape with plenty of stories to tell! Mountain biking and volunteering are not necessarily something that you might immediately think go hand in hand. Yet in the last month alone we've had several stories of the positive impact that it has had in the mountain bike world. What some may consider to be a fairly simple act of volunteering makes a real difference. 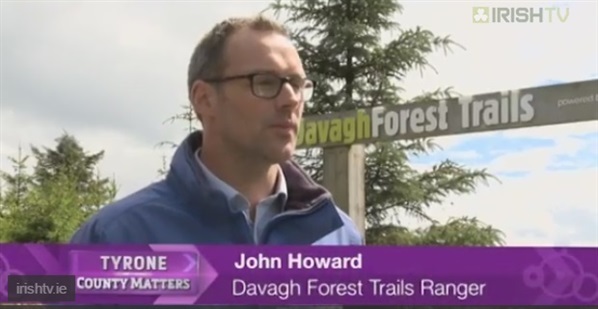 John Howard, the trail ranger for Davagh Forest recently explained the importance that trail volunteers make. "There is a great trail network in Davagh, with a lot of kilometres of riding... so to maintain trails, it's very important to get volunteers on board, especially on the red trails where it’s more remote and harder to get the materials in. John went on to say that because of the volunteers that helped on Davagh Dig Day, they were able to shift "Up to 13 tonne" of dust and stones onto trails, to help repair them. There's no doubt that it's hard work, but the payoff that all mountain bikers get is enormous. 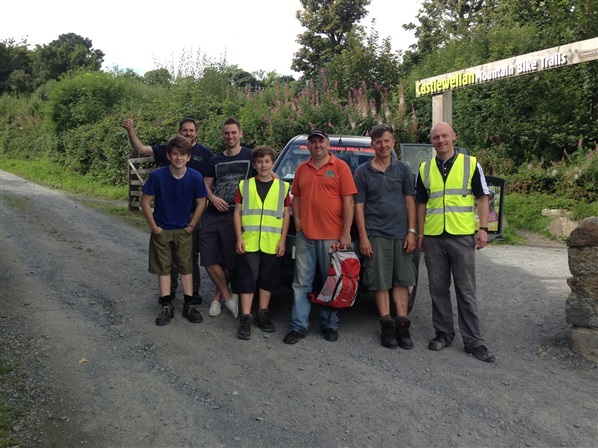 The pictures below from the recent Castlewellan Maintainence Day show our most recent batch of volunteers. You’ll notice two of them look a little younger than usual; Jack and Oliver had a great time and – despite falling foul of a wasp nest – are eager to come back to help out at the next session. Another significant story comes from something which you might have seen on our social media. Cross Country for Cavan was an event set up initially by Michael Crone, to help raise money for a potentially life changing operation for Cavan O'Neill; the three-year-old son of a friend of his, who was born with a type of cerebral palsy. Michael set about riding every trail in Ireland, north and south, and asked other riders to do the same while raising funds for Cavan. With the help of Michael, and everyone who joined him, Cavan met his target and is now awaiting his operation. You can follow his journey here. Mountain biking in Northern Ireland has come a long way in the past few years, since the first official trail opened at Blessingbourne Estate. In part because there was already a strong network of people working together early on. 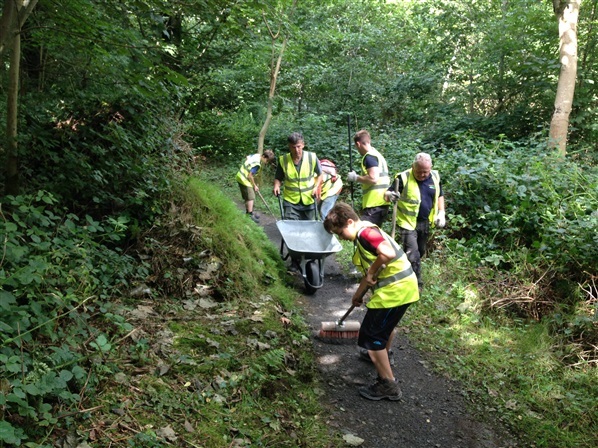 Our volunteers help to keep our trails well maintained and the presence on them strong. They support good causes and help each other out. To join the team, visit the MountainBikeNI website.